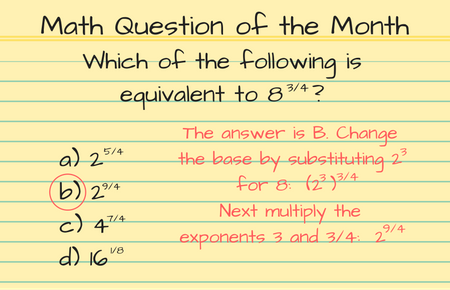 At Sullivan Tutoring, we typically assign a full-length practice test for homework each week. This may seem like a hefty assignment, but it is incredibly feasible if students manage their time appropriately. The SAT and ACT practice tests are comprised of only four objective sections, so if a student completes a section every other day, one practice test per week is more than manageable. Our students who consistently complete their homework are typically the students who see the greatest improvement on their test scores. 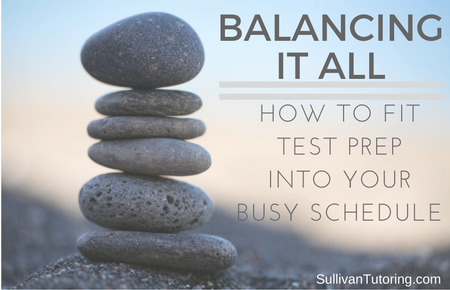 If you do a little bit of a practice test every day or so, you’ll feel less overwhelmed by the amount of prep. Ever hear the expression “Many hands make light work”? Well, it’s also true that “many brains make easier test prep.” Completing any task alone usually seems overwhelming, so receiving help with your SAT/ACT preparation will make it a lot less daunting. Our tutoring sessions last 90 minutes and are typically scheduled once a week; every student can surely find a mere hour-and-a-half each week to go over test questions and strategies. By seeking out the help of professionals, you can get the most out of your time spent preparing for the test and you will be able to more efficiently process the material. Think of it as double-duty. The SAT and ACT test you on math and English concepts— the very same concepts you are usually tested on in school. This means that any prep you do for the SAT/ACT will typically improve your performance on class assignments and exams. Studying essential SAT/ACT concepts (like math formulas, grammar rules, and reading strategies) can help you ace that math test you have coming up or get through that novel your English teacher just assigned. Moreover, the SAT and ACT are more alike than ever, so preparing for one of these tests helps to prepare you for the other. Keep it at the top of the list. As school starts to become more demanding, it’s easy to let SAT/ACT prep fall to the bottom of the priority list. Realizing just how important this test prep is in regards to college admissions should keep it at the top of your list. The next stage of life, attending college, relies heavily on these tests— keep them a priority. Prioritizing these tests will actually eliminate the stress of needing to “cram” right before test day; if you let SAT/ACT prep slide to the bottom of your to-do list, it may feel like less to worry about now, but you’ll find that rushing to do it all right before the test is undoubtedly overwhelming. Remember: how you do anything is how you do everything. Make some time for quality test prep and you’ll see the benefits everywhere!